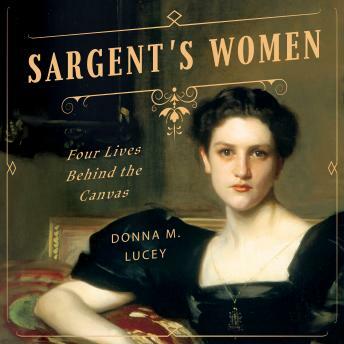 With unprecedented access to newly discovered sources, Donna M. Lucey illuminates the lives of four extraordinary women painted by the iconic high-society portraitist John Singer Sargent. With uncanny clairvoyance, Sargent's portraits hint at the mysteries, passions, and tragedies that unfolded in his subjects' lives. Sequestered in a fantasy-land castle in the remote Rocky Mountains, Elsie Palmer carried on a labyrinthine love life; Elizabeth Chanler stepped into a maze of infidelity with her best friend's husband; as the veiled image of Sally Fairchild?beautiful, commanding, and poison-tongued?emerged on Sargent's canvas, the power of his artistry lured her sister Lucia into an ill-fated life in art; shrewd, iron-willed Isabella Stewart Gardner collected both art and young men. Born to unimaginable wealth, these women lived on an operatic scale, and their letters and diaries create a rich depiction of the Gilded Age and the acclaimed but secretive painter whose canvases defined the era.